Life as an innkeeper is always interesting because of the ever changing stream of various guests that come through our door and into our lives. Last year we began a new tradition of renting the Wilburton Inn as a mansion for private groups. This month, we welcomed a very different group each week - from hedge fund honchos to Chabad rabbis, to the production team from Housewives of New Jersey! February kicked off with a 31 year-old Wall Street banker bachelor who rented all 11-bedrooms in the Wilburton mansion for his friends over President's Day Weekend. Though they arrived in Porsches and could have been straight out of The Wolf of Wall Street, they turned out to be low-key fellows who packed their instruments along with their snowboards. They jammed around the grand piano while kicking back fireside. It turns out one of them lives around the corner from me iand Jetson in Soho. We love when our NYC and VT lives converge and we look forward to seeing them all again. 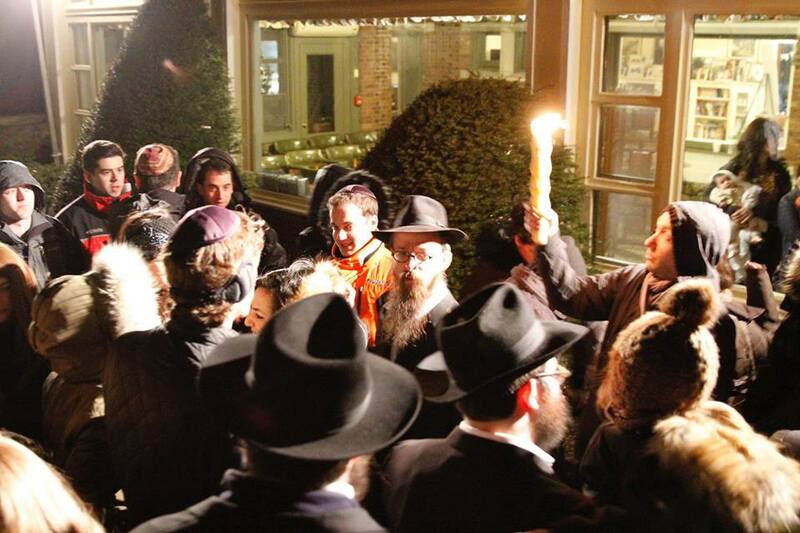 The next weekend, love was in the air and a NYC Chabad group rented the entire Wilburton estate for a singles mixer. Rabbis kashered the inn's kitchen and our maintenance crew hung an eruv around the entire 30 acre estate. It was beautiful to share Shabbat together - and Jewish Week wrote about the Wilburton this week! 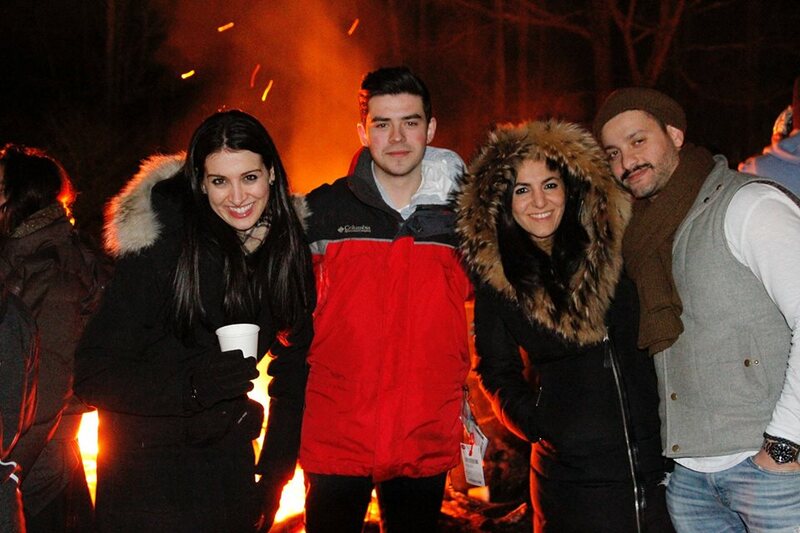 The day after Chabad checked out, four members of Bravo's Real Housewives of New Jersey production team came up to scout the Wilburton as a location for the housewives' ski trip. Unfortunately Manchester didn't have enough snow, so they went north to Stowe instead. Too bad, because Albert suggested he could cure the housewives with his conflict resolution testing. (There are perks to staying at a psychiatrist's inn.) We hope they join us next season. The next weekend, the start up team of Juno, a new car driving service to rival Uber, came up for a corporate weekend. After a day on the slopes and massages in our new Carriage House Spa, they dressed up for a formal dinner, their "Juno Jubilee." They packed DJ equipment and props and danced into the night with a Karaoke party on our livingroom movie screen. Though it didn't work out with the New Jersey Housewives, the following weekend we welcomed these New Jersey dads for their 3rd annual father-son ski trip. Chef Gary catered their hearty pre-skiing breakfasts and a formal dinner feast. They call themselves the 'counts of the round table' and we count ourselves lucky to be their hosts and friends. And now spring is around the corner! Soon the mansion will be rented for brides and family reunions plus the individual guests who enjoy being a part of this wonderful mansion in the mountains. From the top of Stratton, we thank all our guests for a wonderful ski season together!